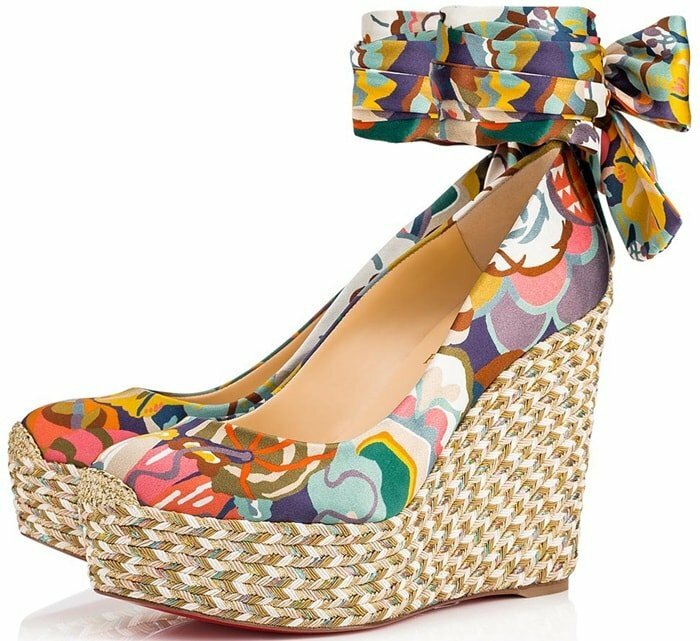 Crafted in a predominantly peachy-pink print drawn from 1970s wallpaper, the ‘Barbariazeppa’ wedge espadrilles from Christian Louboutin are light and glamorous. You can buy them for $695 at Matches Fashion. 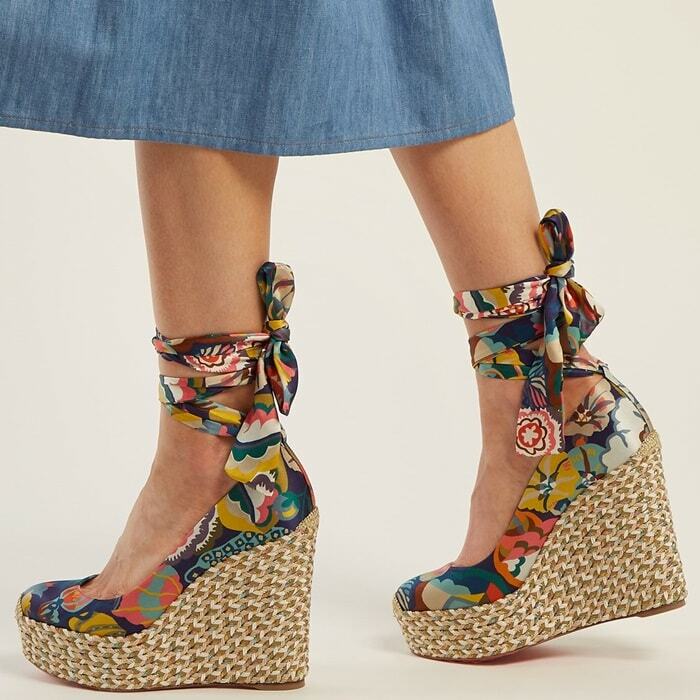 An elegant wide satin bow at the ankle and finely braided esparto rope outsole with shiny threads dress these espadrilles inspired by Barbagia, a mountainous region in Italy’s Sardinia. 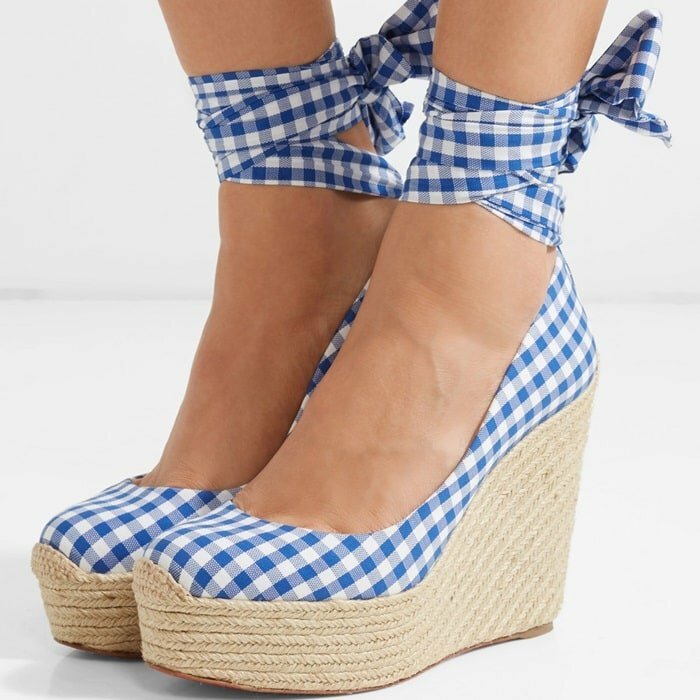 You can also buy them exclusively at Net-A-Porter in gingham and red canvas. Which version do you like best? 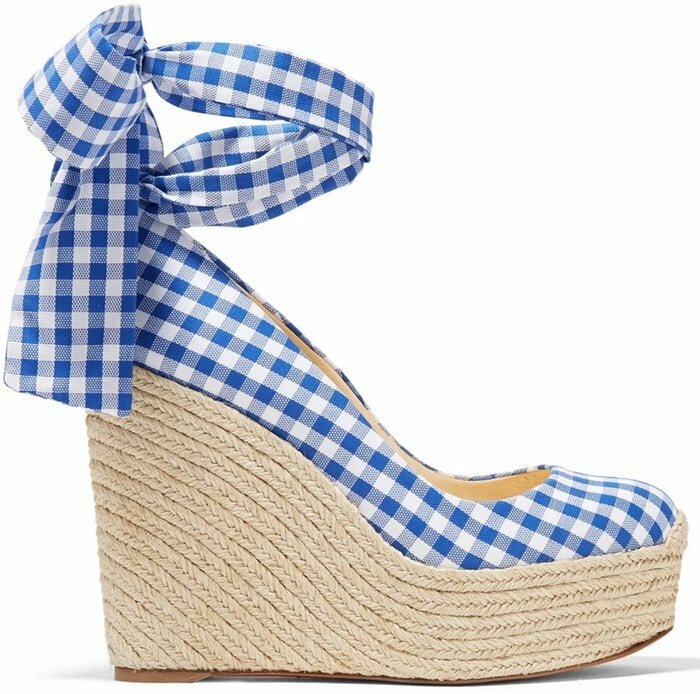 This retro check espadrille pair is made from canvas and has matching ties that elegantly wrap around your ankle. 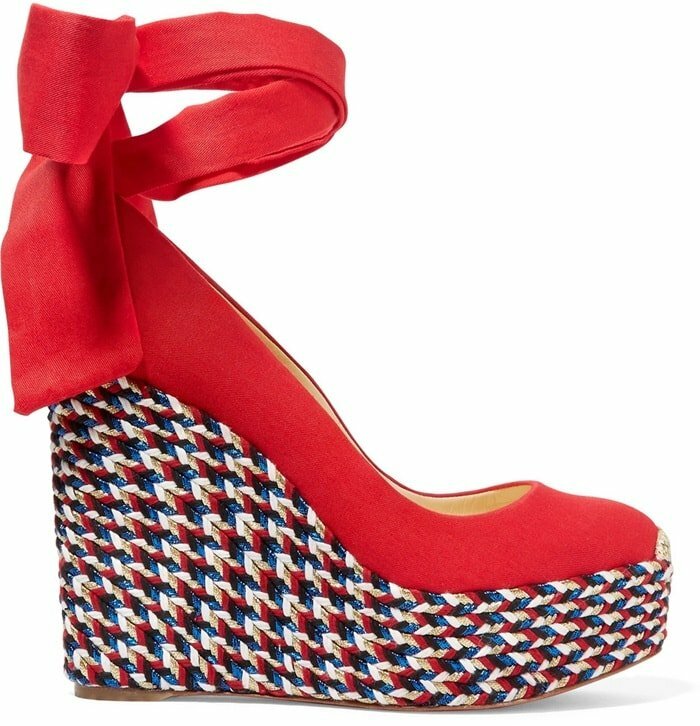 Expertly made from red canvas, these espadrilles are set on a towering wedge heel that’s trimmed with metallic braided cord.